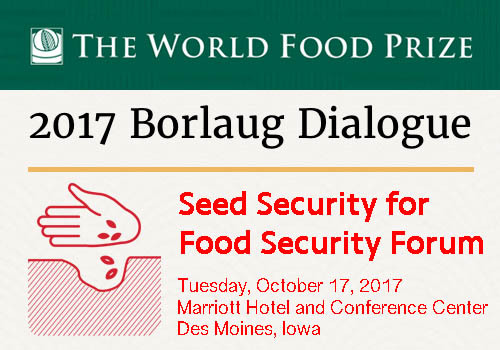 During the World Food Prize 2017 Borlaug Dialogue, Dupont Poineer will host a forum about the role of seed security and crop diversity in global food security and agricultural sustainability. The Forum brings together a diverse group of influential contributors and stakeholders to consider the importance of seed security and crop diversity to increase food security and agricultural sustainability. Seed security requires persistent and effective seed systems to serve farmers across all production scales. The Forum will include presentations and expert panel discussions. The Access to Seeds Index will be presented by executive director Ido Verhagen.